The Peoples Democratic Party (PDP), Akwa State chapter, has said Senator Godswill Akpabio must be held responsible should any violence erupt in the state following recent remarks credited to former governor of the state. 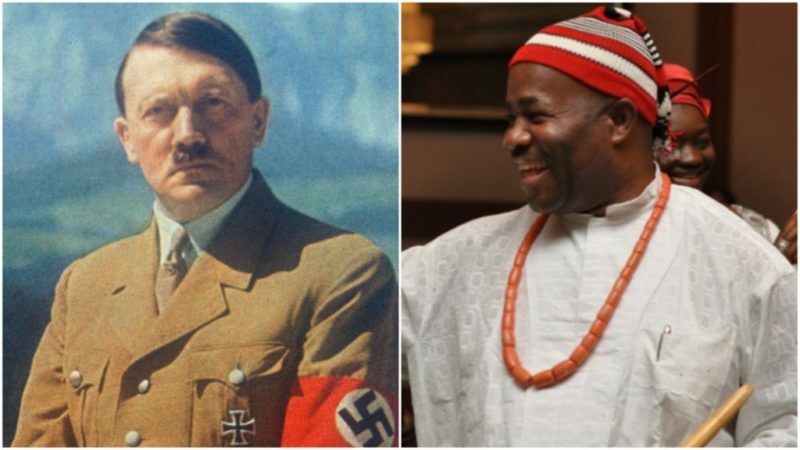 Akpabio, who had recently dumped the opposition PDP for the All Progressives Congress (PDP) a few weeks back, reportedly said during a funeral mass in Enugu that the ruling APC will take Akwa Ibom from the opposition party just like Adolf Hitler took Poland in 1939. “In 2019, Warsaw shall see war and war shall see Warsaw. The 2019 elections will be a full-scale war and my party-the All Progressives Congress (APC) will win,” the Senator was quoted to have said in reference to what Hitler’s information minister said when has asked what had transpired during the Poland war that cost millions of lives. The statement by the former Senate Minority Leader had since earned him widespread condemnations. Reacting to the Akpabio’s statement, the Akwa Ibom PDP, in a statement by its publicity secretary, Ini Emembong, called on security agencies in the country to invite the former governor to explain what he meant by his remark. “The PDP has ruled the state since 1999 and under Governor Udom Emmanuel, Akwa Ibom does not encourage and will not subscribe to violence under any guise,” said the statement.